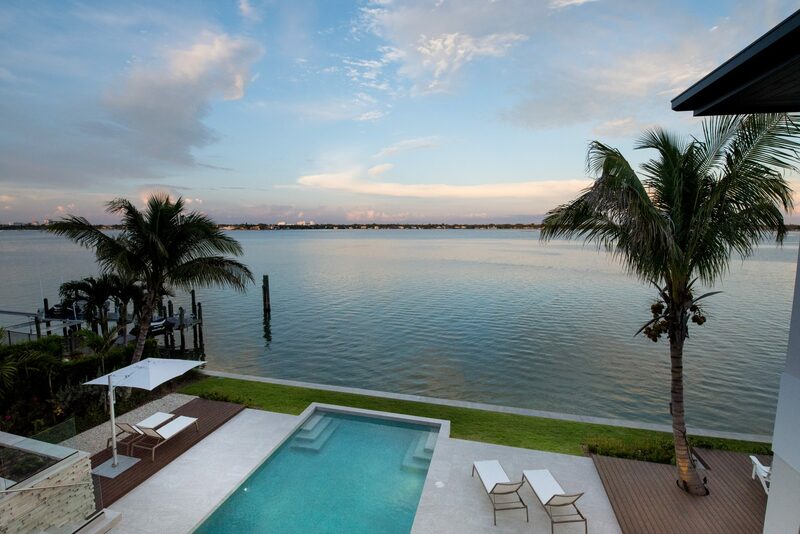 Bird Key Modern - Michael A. Gilkey, Inc. 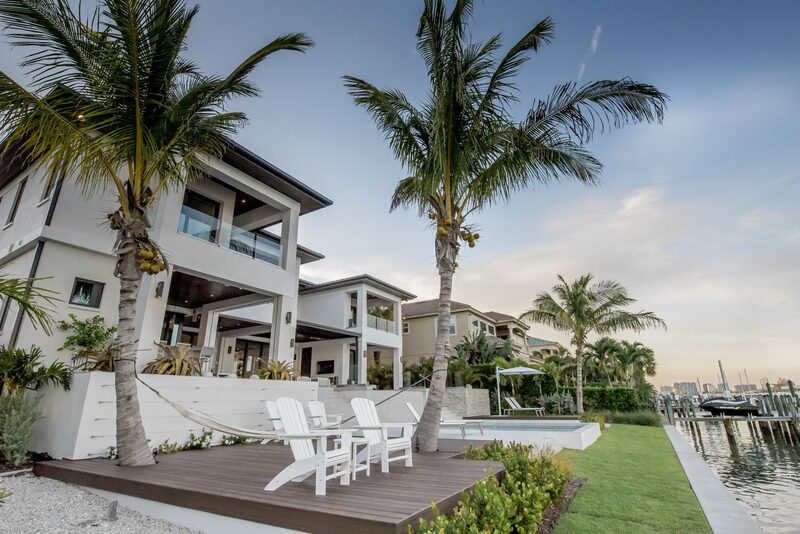 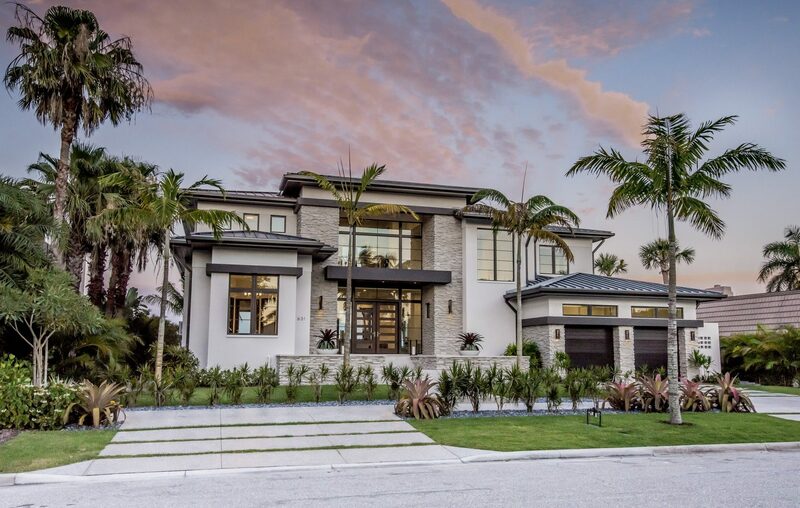 The design intent for this special project was to minimize the disconnect that can sometimes happen with bayfront homes, which are required to have a higher elevation than the street and shore. 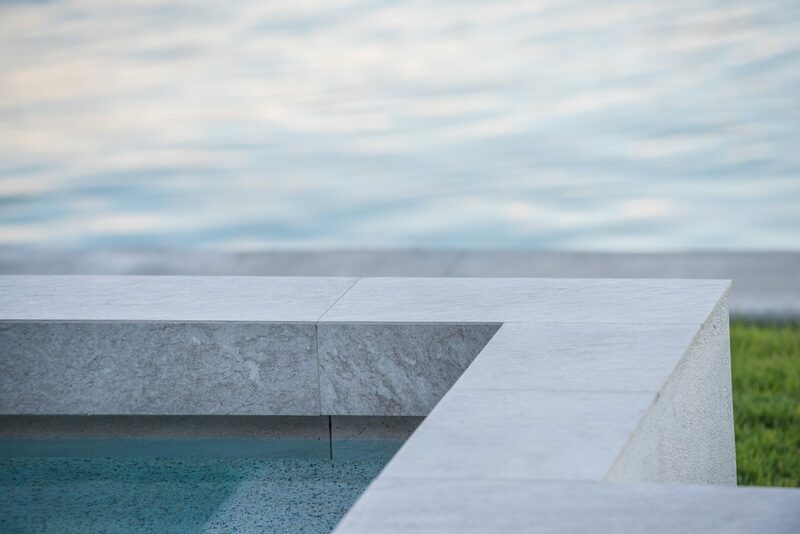 The solution: a series of terraces, punctuated by water and glass, which move fluidly through the home, and a strong horizontal presence to balance the vertical impact. 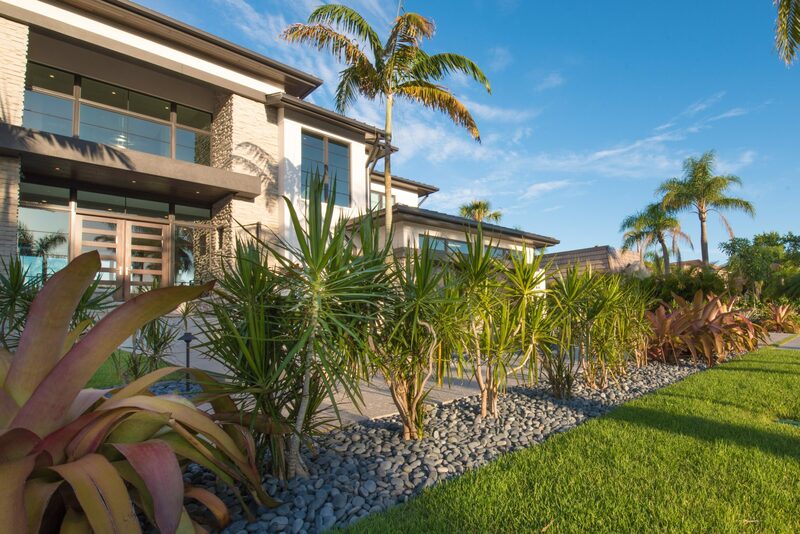 The front yard is clean and crisp, featuring a unique dracena hedge, specimen bromeliads, anodized aluminum edging, and sleek beach pebble. 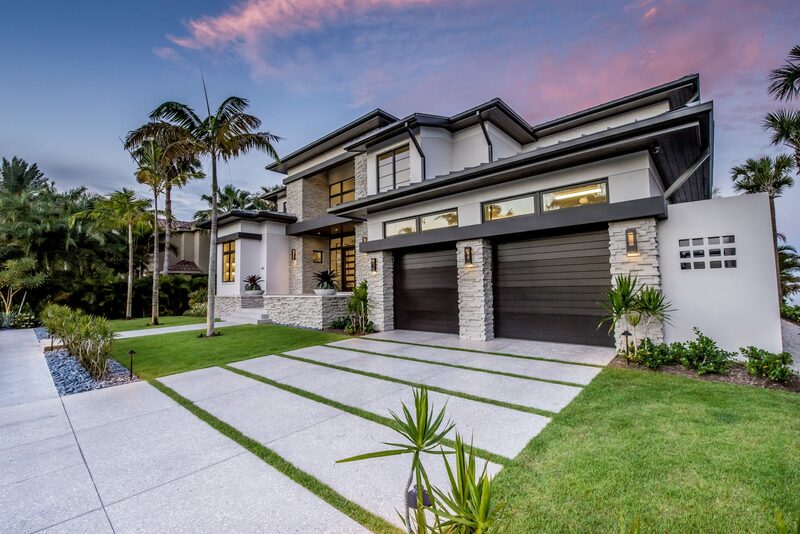 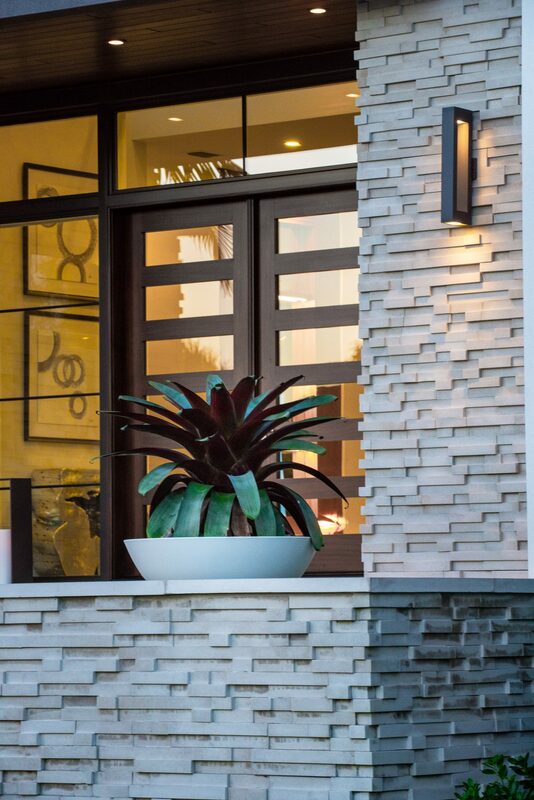 Veitchia palms bring scale to the facade, framing the changing views of the entry sequence. 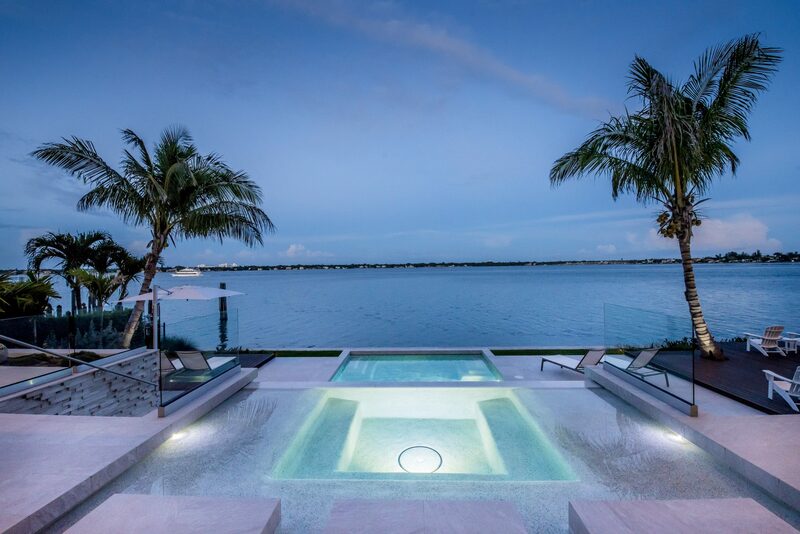 A water lily garden in the front is flanked by a raised spa in the back, unifying the home's circulation with water. 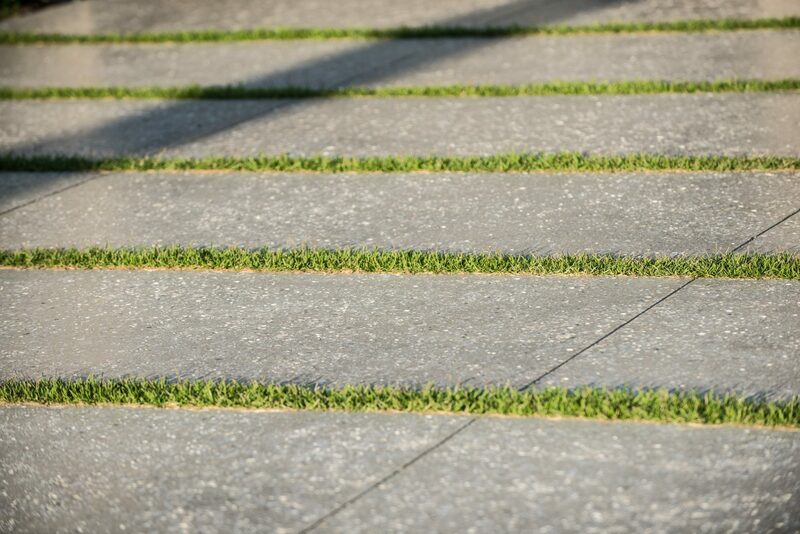 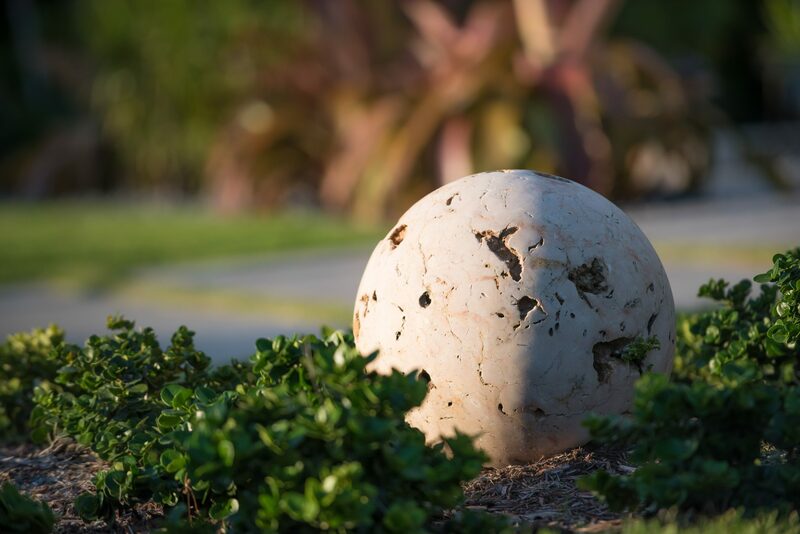 Spherical limestone orbs anchor the four corners of the property, giving subtle balance to the rectilinear design. 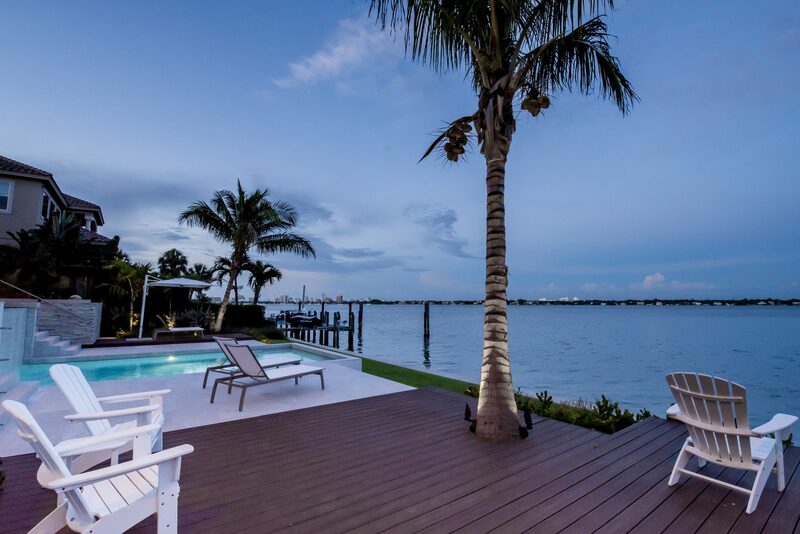 In the backyard, the view is the star. 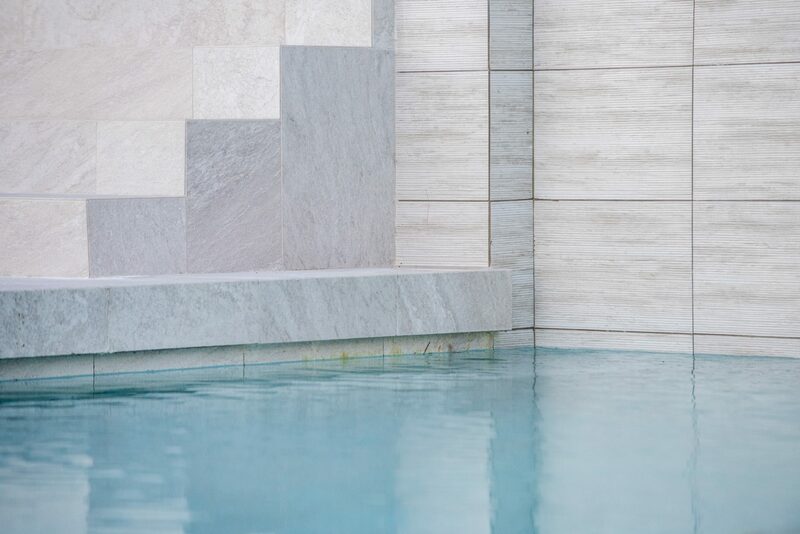 The spa cascades into a linear pool, and the upper terraces reinforce the circulation lines, drawing the eye to the Bay. 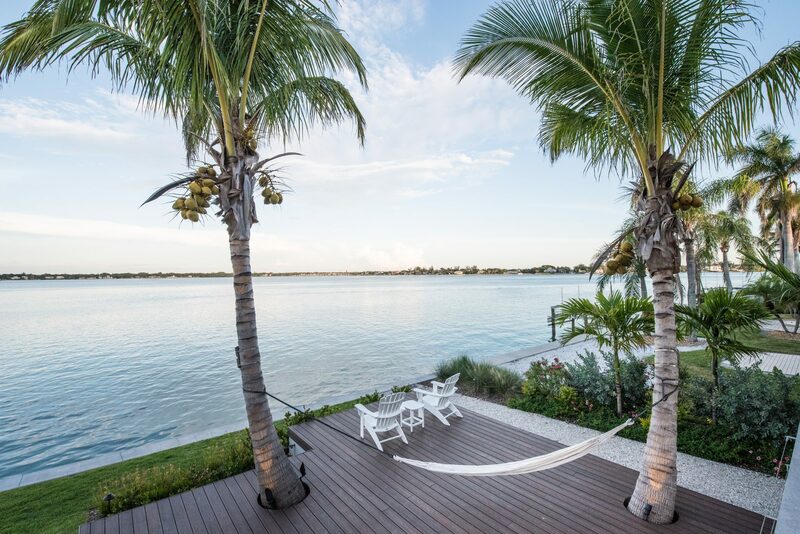 The lower deck features coconut palms at perfect hammock distance. 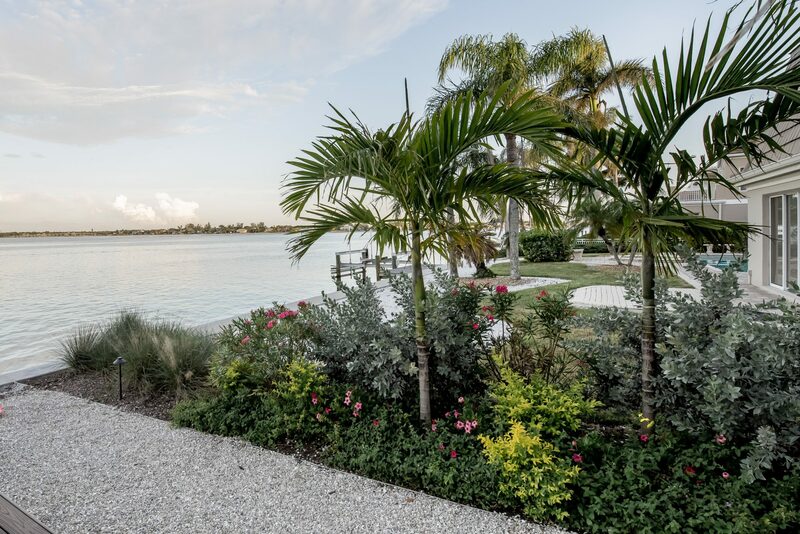 A stainless steel trellis trains flowering vines, and planters feature edible species and bromeliads. 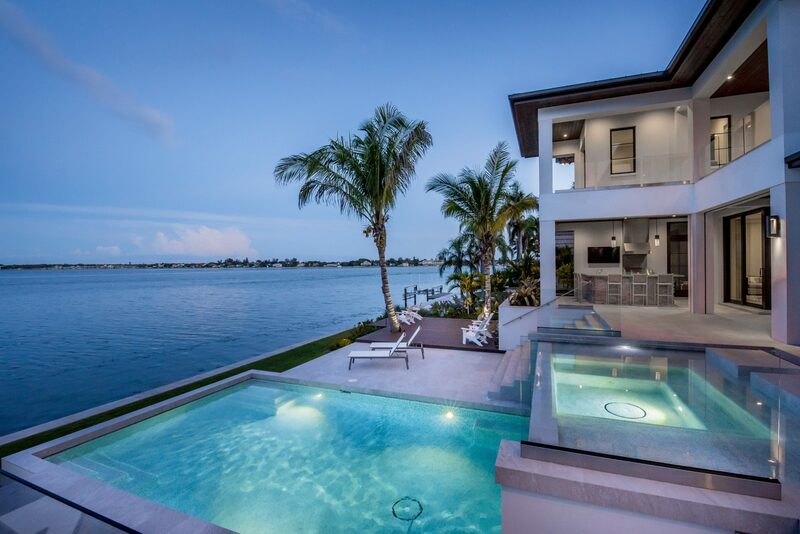 The outdoor bar frames the downtown skyline, underscoring the client's intentions: to live well, to engage the neighborhood, and to celebrate outdoor living on Sarasota Bay.